Unicycle Rose: My New Family. Take one. Motor Silk. Have you ever heard of this oil-additive product for cars? Me neither…until a few days ago. My girlfriend, Reagan (She and her two boys also have a part in the commercial), hooked us up with this production company and, BINGO! My boys and I stood road side with my casted “husband” Barry Ratcliffe, while our car overheated. Barry Ratcliffe plays the Cowardly Lion in The Wizard of Oz coming out soon and he is hilarious. To create an overheating car they hooked up a fog machine into the engine and it looked like we were having the worst family vacation ever. 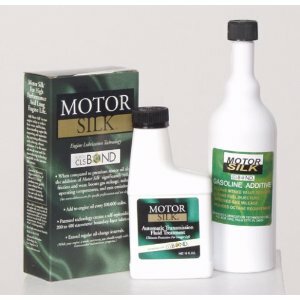 We should have use Motor Silk! Next, my “husband” is throwing hundred dollar bills into the smoking engine while we stand slumped and frustrated by the car. Did you know that movie money has to be rented? The Secret Service is in on this and you can’t just print fake money for the movies. Both my boys were lucky enough to walk away with $100 bills that look like the real thing…except they say “For Motion Picture Use Only,” and “In Dog We Trust.” But still, to a nine year old, this is big and funny! My favorite part? We were referred to as “the talent” all damn day! As in, “Have the talent do this,” or “Bring the talent over this way”. Let me clarify. I do not reek of natural talent, outside of cruising a unicycle and juggling homelife. So, to be titled this way (for three hours) left me feeling, well, great. Honestly, the true talent was Barry Ratcliffe who kept his phony “Motor Silk family” laughing the entire time. He knew what he was doing and believe me the three of us needed direction with film lingo and necessary over exaggeration. Not to mention, we took many “family photos”, as this guy has a new wife and kids every week for shows and commercials. He said he sends out a Christmas card with a different family every year. Hmmmm, maybe that will be us this December? The next shot is of the four of us happily driving down the road after getting smart and using Motor Silk. After we were done shooting the production company graciously took everyone out to lunch. Plus, we received a small check for our time. Honestly, I could have paid them for the once-in-a-lifetime afternoon. I informed the casting director of my love of unicycle riding and that if they ever need a female unicycle rider, I’m their girl. Do you believe that when God closes a door he opens a window? I think back to a couple months ago when I had my unicycle audition. Of course, I would have loved to win that part in the Vitamin Water commercial and cruise Eunice, my single wheeler. But no, I did not. However, something even better floated our way…a chance to do a national commercial, with the two little loves of my life. What a fun experience to share with my kids! Oh, and I met a friend of my “husband”, Al Snow, who is a WWF wrestler. He was there just to hang out with his buddy and watch the shoot. I recruited him to take these photos. I will write about him and his spare head, yes spare head, later because it requires a whole other post. Finally, a juggling, unicycling, teaching blogger! This is what I've been waiting for. My favorite part of this post was the way you put "husband" in quotes throughout. That sounds so amazing! I'm with you on it being worth it even without payment. I had no idea about how they handled money in the movies!!! SO interesting!